Maureen Jones is an Occupational Therapist and Certified Hand Therapist. 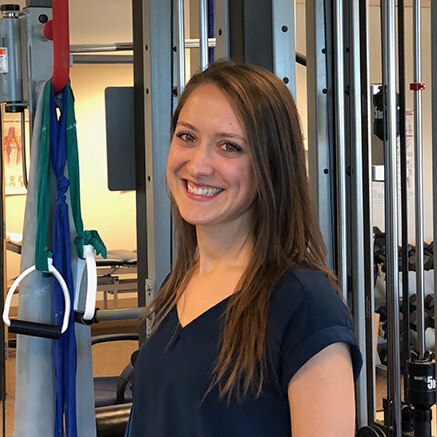 Prior to joining Peak PT, she worked at the Atkin Center for Outpatient Rehab in Rochester, NY and Hand and Upper Extremity Rehab LLC, in Alexandria, VA. She specializes in conservative and post operative treatment of the hand, wrist, elbow and shoulder. She is expert in fabrication of static and dynamic orthotics. Maureen completed her Bachelors and Masters of Science in Occupational therapy at the University at Buffalo. She is registered through the National Board for Certification in Occupational Therapy, Certified through Hand Therapy Certification Commission and Certified in Physical Agent Modalities. When out of the office, Maureen enjoys running, rock climbing, snowboarding and hiking.